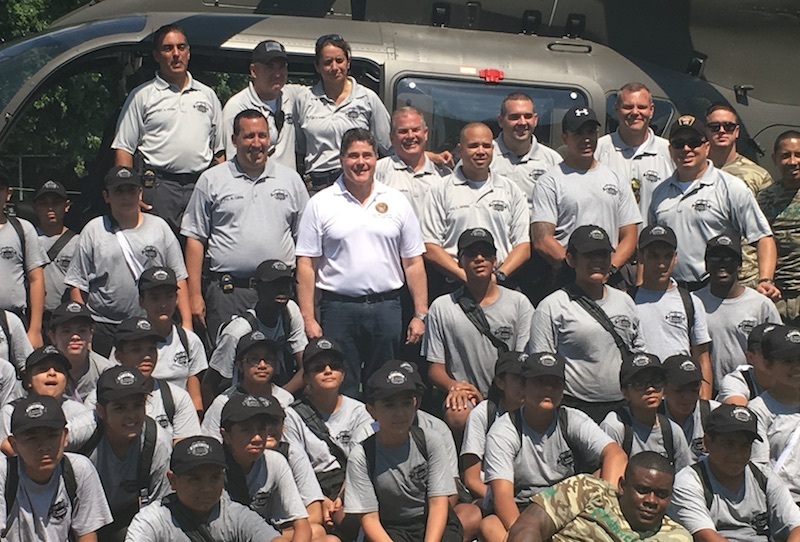 The West New York Police Youth Academy was established in July 2014. 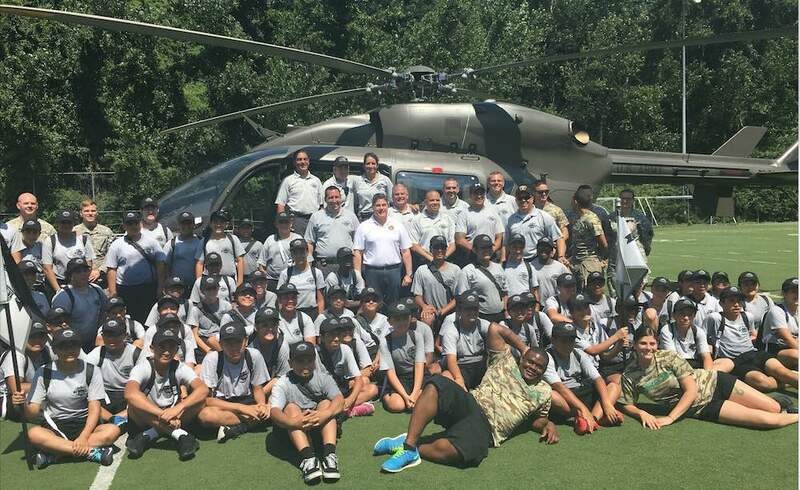 Our program concentrates on teaching the children of the Municipality of West New York the adequate skills needed to pursue a career in the public sectors, just to give examples, military, Police, Fire Department , Emergency Medical Services, S.W.A.T team, and Sheriff’s Department. Also, the youth academy will provide the cadets with proper tools to be able to build on leadership skills, self confidence and pride. The program will teach the cadets respect for the laws of our state and the role they play as citizens. The selection process for the West New York Academy is as follows: students of our educational district from grades 6th, 7th, and 8th grades are asked to write an essay explaining their interest in law enforcement. These essays are then read by the West New York Police Youth Academy committee of 5 police officers who then select the cadets with the best essay. Then, those selected cadets are required to submit a report card which shows that they are passing all of their subjects. This year we have selected 67 students to attend our Youth Police Academy, which is scheduled to start on Monday August 01, 2016 through August 05, 2016 at 8:00 A.M in Public School Number 3, 600 55th Street WNY, NJ 07093, along with a Graduation Ceremony on Monday August 08, 2016 at 6:00 pm to be held at West New York Public School Number 3. In the Academy week, the Cadets will be instructed on various police procedures, including internet safety class, gang and drug awareness seminar, and team building exercises. The Cadets will be taken to the Newark Liberty International Airport to visit Airport Rescue and Firefighting Crew. In addition, the cadets will interact with police officers, Firemen and Emergency Medical Technicians from our department. Finally, they will be taught how to participate in a Drilling Ceremony and work with each other as a team to accomplish several goals task to them. The academy will provide all cadets with a Youth Academy Uniforms, breakfast, lunch, water, water bottles, tote bags, and pens. The graduating Cadets will be provided with a Graduation Ceremony on Monday 08, 2016 that includes food and beverages form them and their family. This Academy Class was fully funded by contributions from the men and women of the West New York Police Department, the local residents, and business owners of West New York.